It hasn’t rained out here for an eternity, but you knew that. I whine about it all the time. We are past the point of bone dry and have moved on to positively parched. The monsoon season should be starting soon. It’s that time of the year when it might rain really hard every afternoon for a couple of weeks...or not. Since this past winter was colder than I ever remember, and the spring was windier than I ever remember, I’m hoping that this monsoon season is likewise monsoonier. 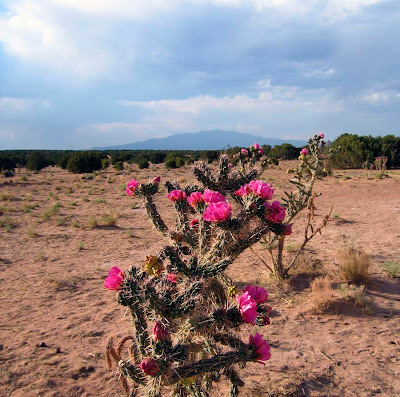 But in the meantime, there is one thing blooming out in the pasture - the cholla cactus. How can anything so beautiful be so evil? I despise cholla. Lyle frequently comes back to the barn wearing it. The grass is always greener under the cholla, you know. Extricating it from a mane or tail is tricky business and requires gloves, a comb, and sometimes pliers; extricating it from a horse’s skin is even trickier because it really hurts them when you pull it out. I have fond memories of Sunday morning trail rides, riding behind my friend Kim on her sensitive Arabian. “Kim, GET OFF YOUR HORSE NOW” meant her horse had walked too close to a cholla, caught a piece of it in her tail and was about to inflict great pain upon herself and Kim the next time she swished it. 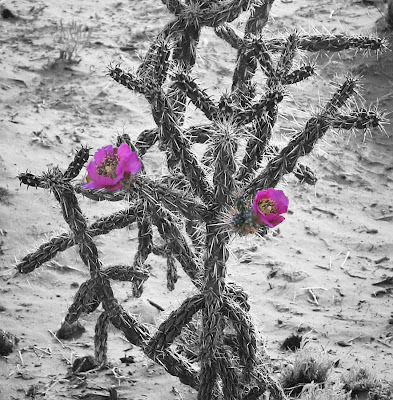 Life in the bloomin’ desert...always an adventure. The flowers are beautiful, but the needles are painful. I know this first hand, and these particular ones are very hard to get out. I can't imagine having a horse infested with them. 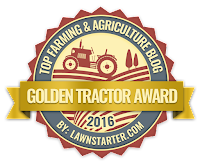 Pop on over and pick up your newest award when you get the chance. Wow, those are beautiful. Serious lookin' thorns though. When I ride in the California desert, the cactus always terrify me. I am afraid I am going to get thrown from the rental horse and end up on one of those things. I think it My Boy got stuck with one of those, that'd be the end of him. He's such a freak about his skin, he's worse than any Arab I know! Oh, dear. That's a notch on the con side for moving to NM. To quote from a song by musician Roseanne Cash (Johnny's daughter): 'God is in the roses and the thorns'. When we first moved in here, I dug up all of the cholla and trashed them. They are so evil! But their woody dead stems make awesome rain sticks! and they also do have lovely flowers. Love that last photo you took. You might want to enlarge that and frame it. Beautiful! I also dug up the prickly pear, too. They are a bear to dig out because they mat up into tight clumps. Now I keep finding new sprouts popping up. 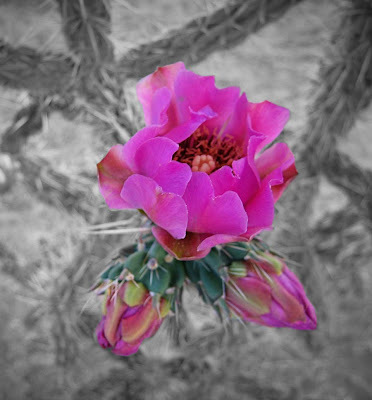 At least the Prickly Pear provide edible fruit, but as you probably know, their thorns are worse than the cholla because just when you pull out those large visible thorns you can just barely see those dozens of barely visible (and often more painful) thorns stuck tight into your skin! Yowza! Those things are a good excuse to wear chaps - too bad you can't put chaps on a horse. Love the color of the flowers!